This classic 5 mm, 18 Karat White Gold Wedding band is marticously micro set with 132 round brilliant stunning diamonds on half of the band. 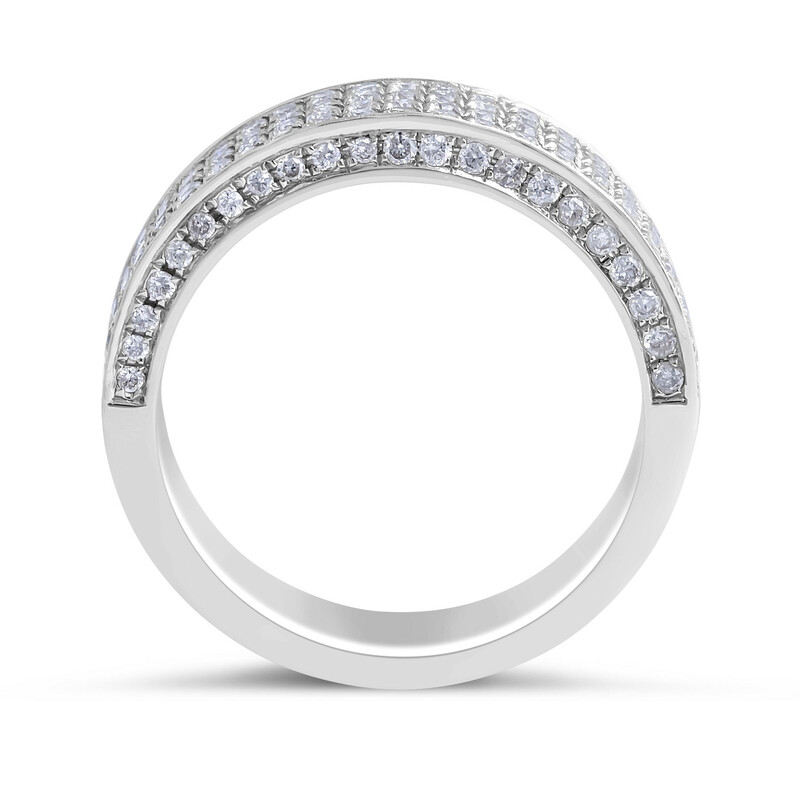 It is a magnificent wedding band made to be worn on its own as a statement piece. A timeless choice for those who love to make a big statement with their wedding band. 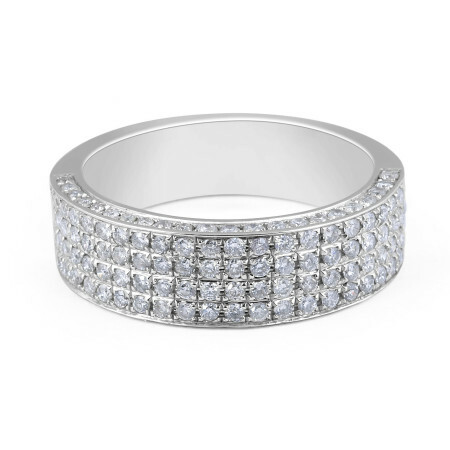 18 Karat White Gold Modern Diamond Wedding Band in 5 MM 132 Round Diamonds : 0.79 Carat.